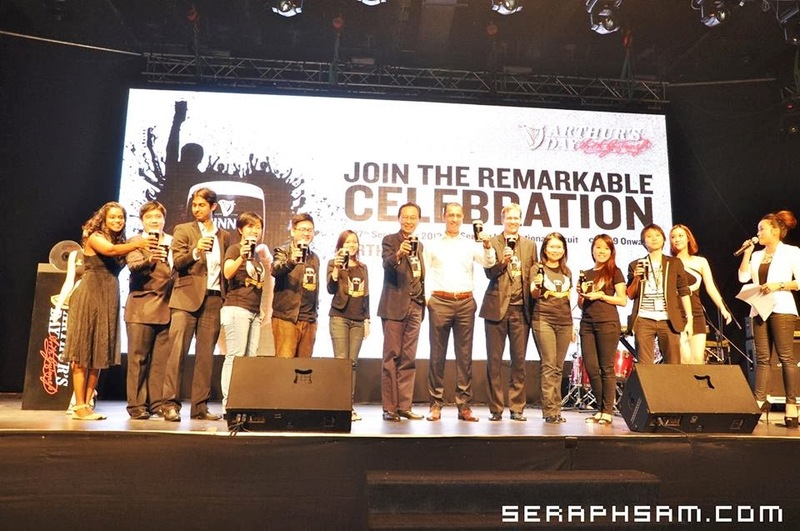 I've never had the opportunity to be part of any of the previous Arthur's Day celebrations, so when I heard the launch was going to be held at KL Live, I jumped at the chance to learn first-hand who would be gracing Arthur's stage this year. 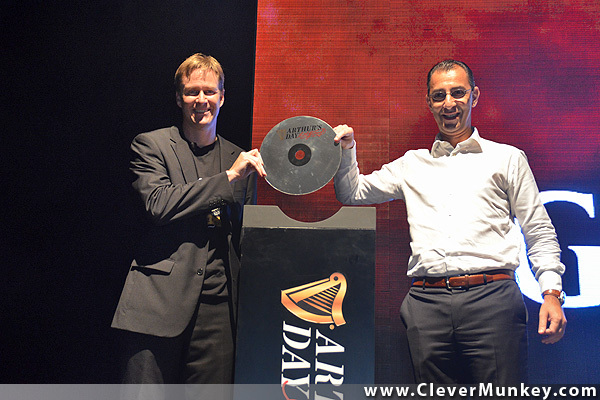 Bruce Dallas and Hans Essaadi, Managing Director of Guinness Anchor Berhad launching the event by giving us good music! 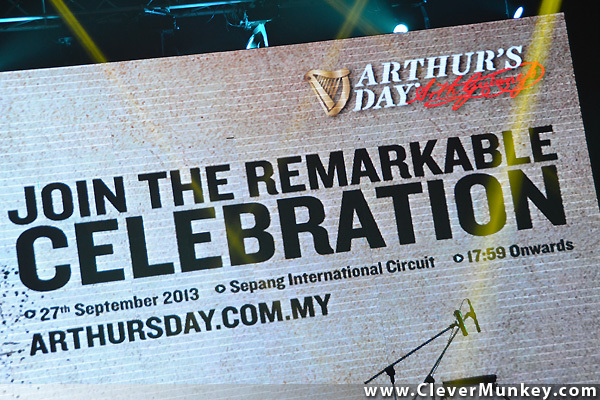 With free flow Guinness stout and a buffet line, members of the media + invited guests mingled and enjoyed the live music from local band Morning Glory, while waiting for the most exciting part of the night: The announcement of which international artistes would be coming to Sepang, Malaysia this 27th September to make Arthur's Day the best one yet! Always have a blast when Joanna and Sam are involved! Which other band would hope that he Gives You Hell? It's no Dirty Little Secret that we would never want to hear Tyson tell us that this is The Last Song! Lost in the darkness I can still scream out. Making the Kids In The Street scream out with joy, The All-American Rejects are going to rock your socks off this 27th September 2013! Last but not least, Brit boy bands seem to taking the world by storm, and when they love their fans even if they can't sing or dance, as long as they can Walk Like Rihanna, well, how could you not want them on Malaysian soil? The Wanted, we're gonna be very Glad You Came! I am SO looking forward to Arthur's Day! Guess KK will have to wait a little longer for my return, cz there's no way I wanna miss this! With month-long activities leading up to the big day, you're gonna wanna LIKE Guinness Malaysia's facebook page to stay in the loop, or visit www.arthursday.com.my to find out how you can score tickets to the event! Ramadhan Buffets - Hyatt Tops the List!